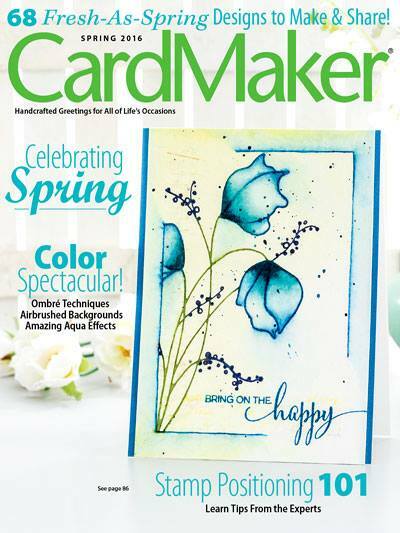 I am over on the CardMaker Magazine Blog with an unscheduled visit. I popped over and saw your cards - can I just say Amazing, Wonderful, Awesome and you stole my heart with their sheer creativeness!! I gt your sweet card in the mail- Thank you so much, it came on a rough day and the pickmeup was so perfect!! Thanks! !